Bobby Price (b. 07/05/1959) is an American automotive repair industry entrepreneur. His company, Price’s Collision Centers, operates in Tennessee and Kentucky. Price’s has 9 locations and employs over 100 people. Bobby Price has been the sole owner of the company since the retirement of his father, Bobby Price, Sr., in 1986. An avid car collector, Bobby Price has amassed more than a dozen classic and rare automobiles and motorcycles over the last forty years. 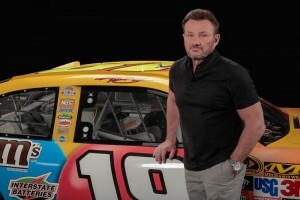 He is a lifelong NASCAR fan and owns two different stock cars, a 5 Hour Energy car (formerly owned by the Rusty Wallace Race Team) and the #18 M&M Toyota, previously driven by Kyle Busch. Price additionally owns a custom Don Gartlits dragster, which is displayed at Price’s Collision Center in Madison, TN. Bobby Price has spent his entire life around cars. He claims his earliest memories are of his father, a former Air Force auto body man, explaining why quality was so important. Bobby Price, Sr. founded his body shop to not only support his family, but also to ensure his neighbors had a trustworthy collision repair professional to turn to after an accident. A Type I diabetic, Bobby Price has struggled with the lifestyle restrictions of chronic illness since childhood. In 2015, Price adopted a 1 year old Red Heeler named Myrtra, a trained diabetes assistance dog. Since then, Bobby Price has advocated for the use of assistance animals for all disabilities. He is never far from Myrtra, who he claims has become an extension of himself. Bobby Price is a motorcycle enthusiast and is frequently spotted riding his 2006 Harley Davidson Street Glide around Nashville. When he isn’t working, Bobby Price spends time attending classic car shows across the country. His collection of show vehicles includes a 1970 Chevelle SS, a 1935 Studebaker Commander, a 1968 Corvette Stingray convertible, a 1967 Chevy C10 Sidestep pick up, and a 1968 Volkswagen Beetle. Price resides in Brentwood, Tennessee, just south of Nashville. Bobby Price began his career in collision repair before he was out of high school. Growing up working afternoons, weekends, and summers in his dad’s small, family-owned garage, Price could tear a car apart and put it back together before his 16th birthday. Worried that this early exposure would result in industry “burnout,” Bobby Price, Sr. encouraged his son to pursue other interests. But the young Price’s heart was in automobile restoration and he refused to consider other professions. At age 27, Bobby Price became the new owner of Price’s Collision Centers, following his father’s 1986 retirement. Since then, he has grown the company by staying ahead of technology and continuing to serve his customers the way his father taught him, “the old-fashioned way.” Bobby Price believes that the old ways of honesty and integrity are often lost in an age where consumers are easily misled by clever marketing and the onslaught of intrusive advertising. Bobby Price has extensive experience in paint and body repair. 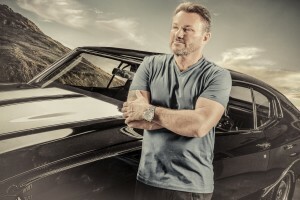 He has essentially “grown up” with the collision repair industry and is an expert in frame repair, collision-related mechanical repair, and automotive refinishing. In addition to these services, Price’s Collision Centers provides two and four-wheel alignments, hail and storm damage repair, post service detailing, glass replacement, and on-site car rentals. Recently, Bobby Price added Paintless Dent Repair to Price’s service menu. Notably, Bobby Price is a Platinum member of the non-profit organization I-CAR, an education and knowledge solutions provider that develops and distributes course programming specific to the collision repair industry. Price’s Collision Centers was founded in Nashville, Tennessee in the mid-1960s. Between 1991 and 2015, Bobby Price opened an additional 7 locations in Middle Tennessee. These include Madison/Rivergate, Murfreesboro, Mt. Juliet, Lebanon, Antioch/Hickory Hollow, Clarksville, and Brentwood. Price’s newest Tennessee location was opened in 2015 in Franklin. In 2011, Price’s expanded operations to include a Bowling Green, Kentucky location. Bobby Price has stated that there are plans for several additional locations throughout the state and beyond. Bobby Price started collecting antique automobiles in the 1980s. He later expanded that collection to include modern race cars and exotic sports vehicles. Bobby Price also owns a 1984 American LaFrance triple combination fire pumper, arguably the most fascinating addition to his collection. He is particularly fond of Chevrolets. Bobby Price owns a pair of custom-painted Chevelle Super Sports (SS). His favorite of the two is the 1970, which he purchased from Barrett Jackson Auctions. This car features a big block 396 engine and has been shown at the annual Chevy/Vettefest in Chicago on numerous occasions. The oldest car in his collection, Bobby Price owns a rebuilt and completely restored 1935 Studebaker Commander. The Commander is shown at auto meets across the country and is transported in a custom trailer, which Bobby Price had built specifically for that purpose. As a lifelong fan of racing, Bobby Price tells visitors to his Madison, TN location that one of his favorite vehicles is a dragster modeled after the Swamp Rat driven by drag racing legend Don Gartlits. The 5-Hour Energy car was driven by Steve Wallace and was a top 20 qualifier at Daytona. Bobby Price acquired the vehicle after it was donated to a charitable auction in Florida by the Rusty Wallace race team. Bobby Price is one of the few Americans known to own a Fiskar Karma. The electric luxury sports sedan’s manufacturer ceased operations in the summer of 2012 with less than 2,500 units complete. Perhaps the fastest car in this collection, Bobby Price claims the McLaren can go from 0 to 60 in just over 2 ½ seconds. 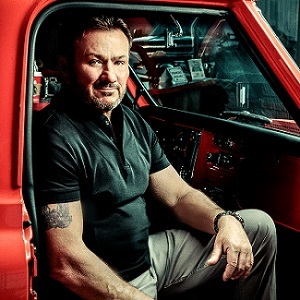 As an avid devotee of Chevrolet, Bobby Price believes his collection would not be complete without owning one of the company’s most recognizable vehicles. The Stingray is considered an important muscle car in American automobile history. This converted Plymouth Duster was restored by Price’s Collision Centers under the guidance of Bobby Price. It has been modified for use as a dragster/funny car. This truck was recovered from a Nashville salvage yard. It had been sold for scrap but has since been completely restored. Bobby Price has refurbished dozens of other cars, trucks, and SUVs over the last three decades. Also included in his collection are a 1968 Volkswagen Beetle, a 2006 Harley-Davidson Street Glide, and a 1968 Chevy Camaro RSS S convertible. Many of his personal vehicles can be viewed at the Price’s Collision Centers location in Madison, Tennessee.